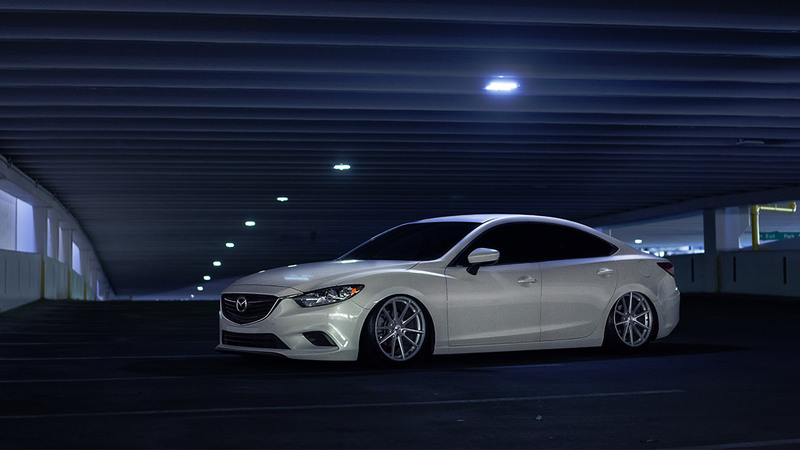 When Mazda launched the third generation of its popular Mazda6 sedan, they headed upscale, increasing the proportions in all directions while stamping out a striking new form. The new car was an instant hit, making even magazine editors swoon about its well-appointed interior, stunning good looks and excellent driving character. For some people, that would be enough, but not for us. We pride ourselves on making sure that every kit we build not only rides great, but also handles the curves like a fine sports sedan should. It’s also about versatility. Can you raise your car up to clear obstacles, traverse bad roads or get into your favorite restaurant with the common coil over? Bolt on our suspension and all these lowered car problems disappear with adjustability at the push of a button. So the question is, how do we do all this? The foundation of any quality suspension system is the dampers (struts/shocks). 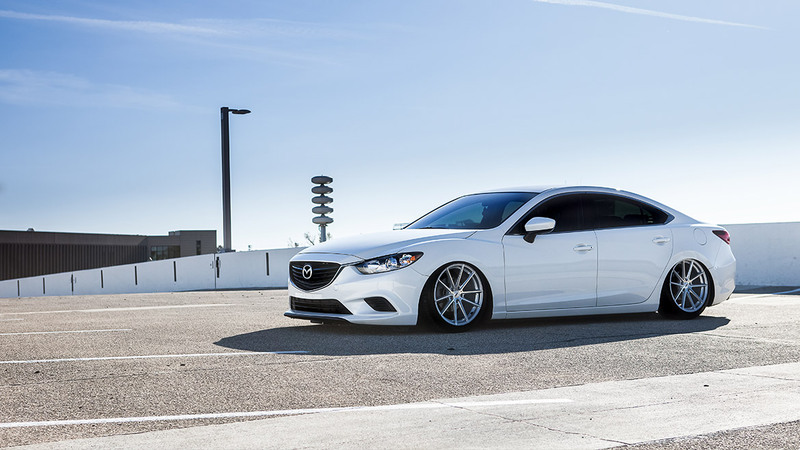 In front, the Mazda6 has 30-level damping adjustable, monotube struts that are tuned to provide a great ride with enough adjustment to go stiffer or softer, depending on your preference. We then add our progressive rate, double-bellows air springs which give a comfortable ride and great body support during cornering or braking. The struts are then topped off with adjustable camber plates that use high quality spherical bearings for precise steering feel and superior damper actuation. The plates allow you to dial in up to 3 degrees of negative camber for that perfect wheel fitment or optimized handling. Out back you will find a similar formula, using 30-level damping adjustable monotube shocks alongside a double-bellows air spring tucked into the stock coil location. The result of this combination of superior components is a ride that is comfortable enough for long days behind the wheel and the handling prowess to conquer a track day or autocross with the touch of a button and a twist of the damping adjusters. It is also important to note that no modifications are required to the car fit this suspension! Detailed instructions will help you get your Mazda slammed within a few short hours. If you have the ability to wire a stereo and swap out suspension parts, you should have no problem installing our kit! In the event you do run into a snag, the Air Lift Performance tech support team is top-notch and can guide you through any questions you may have. If all of these features weren’t enough, you’ll also want to know that we work very hard to offer the most durable air suspension possible. We do so by torture testing the main components of this kit to 1 million cycles (equivalent to approximately 100,000 miles) on our hydraulic test rig, at temperatures from -30°F to 150°F. 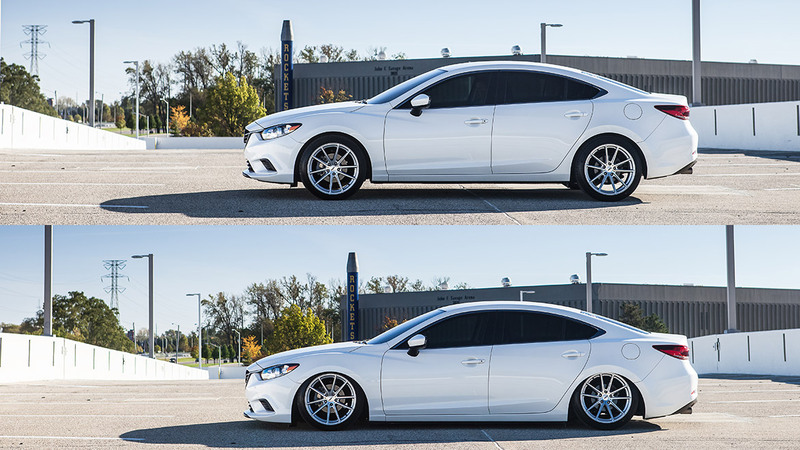 Couple this test lab work with on-road testing and our one-year manufacturer’s warranty—and you can drive with confidence knowing that you have purchased the best air suspension available for your ride. Are you ready to revolutionize your driving experience? 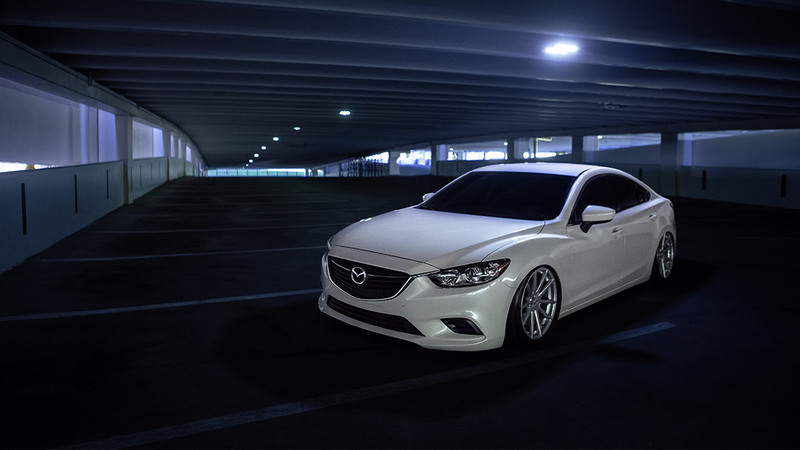 Find a dealer and get that Mazda6 rolling low. It’s the beginning of your new #lifeonair.